Peruvian White Guava Psidium guajava Our latest guava is this fantastic Peruvian White, that blooms in late spring to early summer. Grow in full sun with an average watering schedule. The Peruvian White Guava can attain red/brown markings on their leaves during the winter months. Overview: Average mature height: 30-40 feet. Soil: Average watering needs. Light: Full to part sun. Zones: 9 - 11. Can be grown indoors. You will be receiving 1 plant between 3 & 8 inches in a 3 inch deep pot. 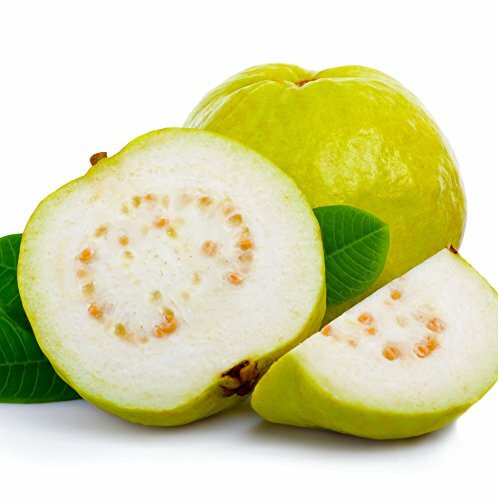 Grow delicious Peruvian White guavas in your own yard!